The Kremlin last month warned that additional sanctions could lead to "unbearable risks and dangers" for relations with the U.S., which it said were already in a "pitiful state." The U.S. identified 96 of Russia's richest people as "oligarchs" and 104 top government figures in lists mandated under last year's sanctions law, adding pressure over alleged Kremlin interference in the 2016 presidential vote. The Treasury said inclusion in the rosters doesn't mean the individuals will face sanctions or impose any restrictions on dealing with them. But in the weeks ahead of the release, Russian tycoons and officials had shown growing concern about the possibility they'd be included. Merely being publicly identified on the list could dissuade banks and other institutions in the U.S. and Europe from doing business with them, Bloomberg reported. The Treasury said it used "objective criteria" for the lists, based on net worth of $1 billion or more for the oligarchs and official position for the "senior political figures," as they're known in the law. The resulting lists were more sweeping and less targeted than some former officials who'd advised on the process had called for. Among business leaders, the list includes people already subject to sanctions because of their close ties to President Vladimir Putin, such as Arkady Rotenberg, as well as those seen as distant from the Kremlin, such as banker Oleg Tinkov and grocery tycoon Sergey Galitsky. Government officials listed ranged from Prime Minister Dmitry Medvedev and Energy Minister Alexander Novak to the heads of state companies and Kremlin representatives in Russia's regions. "They just included everybody, all the big businessmen, all the major bureaucrats," said Vladimir Tikhomirov, chief economist at BCS Financial Group, a Moscow brokerage. "The aim is to increase pressure on Russia and on major Russian business people in order to destabilize the political situation without specific sanctions." Read alsoU.S. extends sanctions against Russia over aggression in UkraineThe Treasury said it was submitting classified lists, as well, that could include tycoons and officials of lesser rank and wealth, but provided no further information. In the first official response to the publicly disclosed list, Deputy Prime Minister Arkady Dvorkovich – who was included – said Russia sees no reason to respond and will see how the situation develops, the state news service RIA Novosti reported. Even Kremlin Cultural Adviser Vladimir Tolstoy wound up on the list. "I wasn't expecting this because I don't have any foreign or domestic assets," he told Bloomberg by telephone. The lists, mandated by Congress in retaliation for election meddling in a law passed last summer over White House objections, had sparked anxiety among Russia's business elite and incensed the Kremlin. 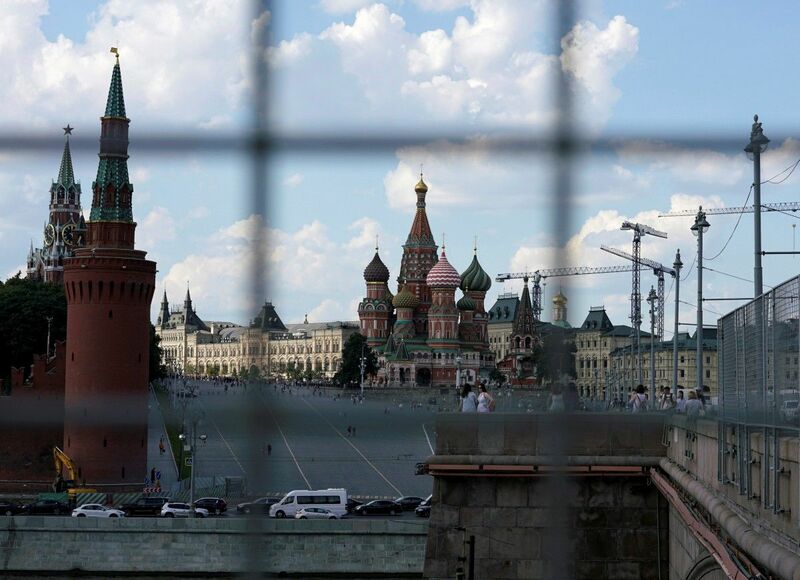 Their release is likely to fuel tensions between the former Cold War rivals, which have steadily worsened since President Donald Trump came to power last year. The law tasked the Treasury, State Department and director of national intelligence with producing a report listing "the most senior foreign political figures and oligarchs in the Russian Federation, as determined by their closeness to the Russian regime and their net worth." Putin's spokesman, Dmitry Peskov, accused the Trump administration of using the measure to try to influence the March 18 presidential election, in which the Russian leader is seeking to extend his almost two-decade-long rule. Russia's hopes of a thaw in ties with the U.S. promised by Trump in the run-up to his election have evaporated amid a cross-party drive in Washington to punish Russia for its alleged efforts to sway the vote in the Republican leader's favor. Past sanctions have targeted officials and Kremlin insiders as well as restricted Russia's access to international financing and energy technology, ensnaring more than 200 individuals and 400 companies.